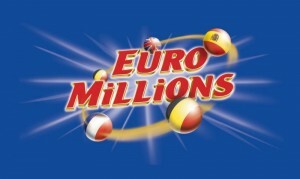 Friday Night saw a very special Euromillions draw take place with an impressive rollover jackpot on offer to be won and also the Millionaire Raffle (additional EuroMillions game played in the UK) offering 100 £1 million prizes. 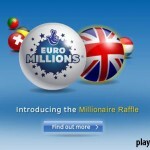 35 millionaires have come forward and a further 65 millionaires are anticipated to come forward to claim their prize. The excitement was high as all ticket holders were hoping to strike Gold and land the Jackpot. Euromillions results, however show that no ticket holders were able to match the five plus two combination to win the Jackpot. This now means that the top prize rolls over again with the next draw slated for Tuesday estimated to have an impressive £119/€153 million Jackpot. The numbers were 14, 15,21,23,48 with the lucky star numbers being 2 and 10. 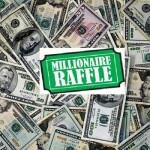 Friday night set the record for the largest numbers of millionaires ever in one draw as the 100 millionaires draw took place. Although there wasn’t a jackpot winner in Friday night’s draw there were over a staggering 7.2 million ticket holders that won one of the prizes below the jackpot. The draw had 16 ticket holders matching five numbers and one Lucky Star to win £200,339.90/ €275,299.90 and then 25 ticket holders matching five numbers to win just over £42,000/€58,000. Over and above In addition to this there were 284,470 ticket holders who matched three numbers to win £8.60/€11.90 and over 4.2 million ticket holders matching two numbers to win the smallest ever Euromillions prize at £2.80/€3.80. Therefore, if you want to stand a chance to win some of the Euromillions rollover jackpot, you need to buy your tickets early and watch out for Tuesday night’s results.